One of the foundational strategies that our staff believe in and reply upon to assist our residents is the power of music. When you take a tour of the Primrose facility in Santa Rosa, you will likely visit a sweet little spot just off the dining hall devoted to providing a quiet, calm environment where residents can listen to and engage with musical selections of their choosing, which the residents or their family members have indicated are the tunes they love and/or that help them to relax. The Primrose music room includes a big comfortable chair and a jukebox style system with song selections in many musical styles, including our residents’ favorites. The music room is designed to help residents experiencing feels of agitation or anxiety by providing a quieter atmosphere, where daily stressors can be left behind. The soothing ritual that music provides helps residents rest and have private time. A staff member also will visit with the resident as they listen to music and bring a favorite food, combining concepts of music and memory as distractive and aromatherapeutic elements that assist residents when feelings of restlessness or overwhelm happen. In a recent Primrose newsletter, we included an article about the power of music and memory. If you are a caregiver for someone with Alzheimer’s or Dementia and you missed a chance to learn more about how music can calm your loved one, we’ve provided the excerpt below. Music & Memory is an organization that is all about bringing joy into the lives of people suffering from Alzheimer’s, other forms of dementia, and a wide range of cognitive and physical impairments. Their approach is simple, elegant and effective: they train professionals in nursing homes and other elder care settings how to set up a personalized music program that integrates smoothly into the life of the care organization. 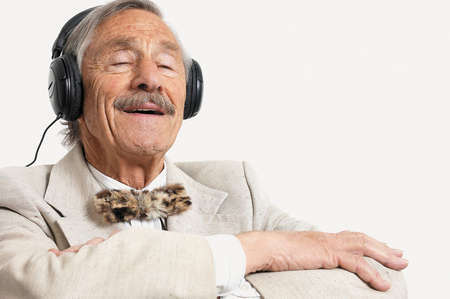 Musical favorites tap deep memories not lost to dementia and can reawaken elders, enabling them to feel like themselves again, converse, socialize and stay present. Executive Director Dan Cohen founded Music and Memory with a simple idea: Someday, if he ended up in a nursing home, he wanted to be able to listen to his favorite 60’s music. He’d heard a recent news report about how iPods have grown so popular. Why not bring used iPods as well as new ones into nursing homes to provide personalized music for residents? Drawing on his background in leveraging technology to benefit people who would otherwise have no access, he created personalized playlists for residents in a Greater New York nursing home. The program was a hit with the residents, staff and families, and became the prototype for a bigger effort. In April 2012, a documentary about their work, Alive Inside: The Story of Music and Memory, was in the final stages of production. A video clip of Henry, one of the residents featured in the film, went viral with millions of views, boosting awareness and enthusiastic interest in the program. The documentary won the Audience Award for best U.S. Documentary at the 2014 Sundance Film Festival. As we all know from hearing that song associated with a first love or the hits that were popular in our teen years, music is profoundly linked to personal memories. In fact, our brains are hard wired to connect music with long-term memory. Even for people with severe dementia, music can tap deep emotional recall. For individuals suffering from Alzheimer’s, more recent memory for things — names, places, facts – is compromised, but memories from our younger years can be well-preserved. Favorite music or songs associated with important personal events can trigger memory of lyrics and the experience connected to the music. Beloved music often calms chaotic brain activity and enables the listener to focus on the present moment and regain a connection to others. Music, Memory, and Inspiration: An Event! We have a wonderful event coming up, with the opportunity to learn more about the power of music and memory, presented by Primrose Executive Director John Wotring and Primrose Program Manager Jennifer Watson. Please join us November 22nd from 6 pm to 10 pm for dinner, the presentation, and the chance to listen to some great live music! Contact us for any questions you may have, or to find out more about this event. This year we are also fortunate to have a student from the Waldorf School in Santa Rosa, working with us to bring the Music & Memory program to Primrose. She is fundraising to bring us the training and expertise to our facility, along with asking for donations of gently used iPods for our residents to use. If you or a loved one has Alzheimer’s Disease or dementia and want to ease the symptoms through the power of music, please reach out to Primrose for support.